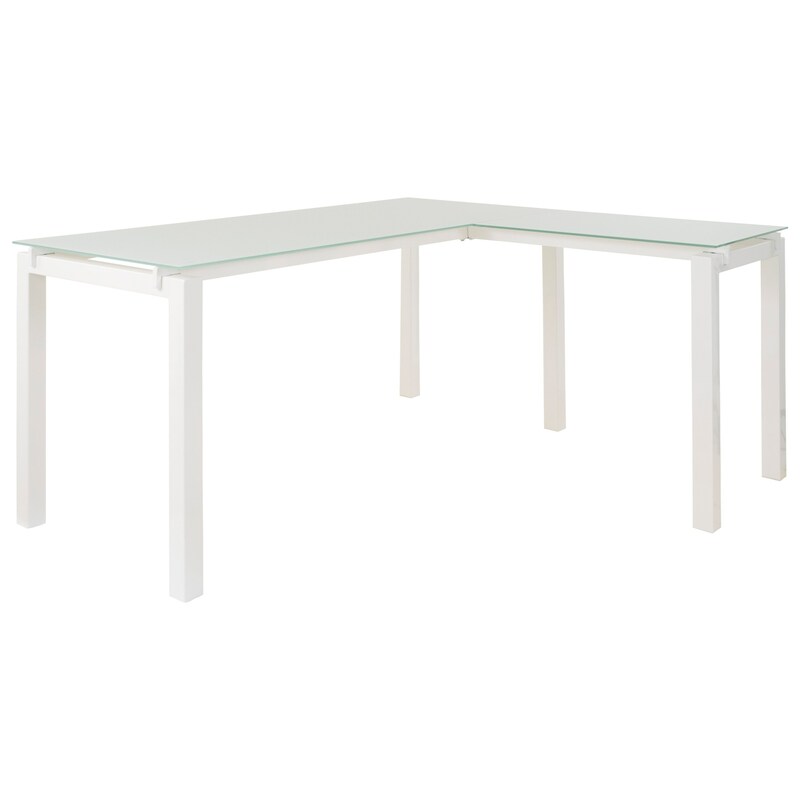 Keep your home office feeling light and airy with this modern L-shape table desk. 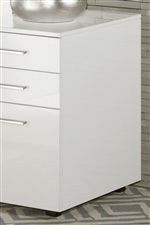 The base is made for strength with welded metal in a white powder coat finish that supports a tempered frosted glass top with polished edges. For maximum versatility, it can be set up as either a left or right facing L-shape configuration. With room for a laptop computer and more, this desk provides the spacious work space you need to be productive at home. The Baraga White Finish Metal L-Desk with Frosted Glass Top by Signature Design by Ashley at Household Furniture in the El Paso & Horizon City, TX area. Product availability may vary. Contact us for the most current availability on this product. 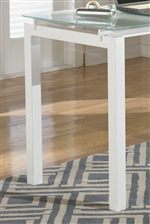 The Baraga home office collection presents stylish Metro Modern design with its bright, white finish. The sleek, straight lines of the tubular metal desk legs are complemented by its frosted glass top. 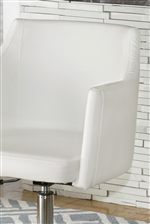 Complete your desk with the matching items, a white PVC modern desk chair and a high gloss white file cabinet. The Baraga collection is a great option if you are looking for Contemporary furniture in the El Paso & Horizon City, TX area. Browse other items in the Baraga collection from Household Furniture in the El Paso & Horizon City, TX area.